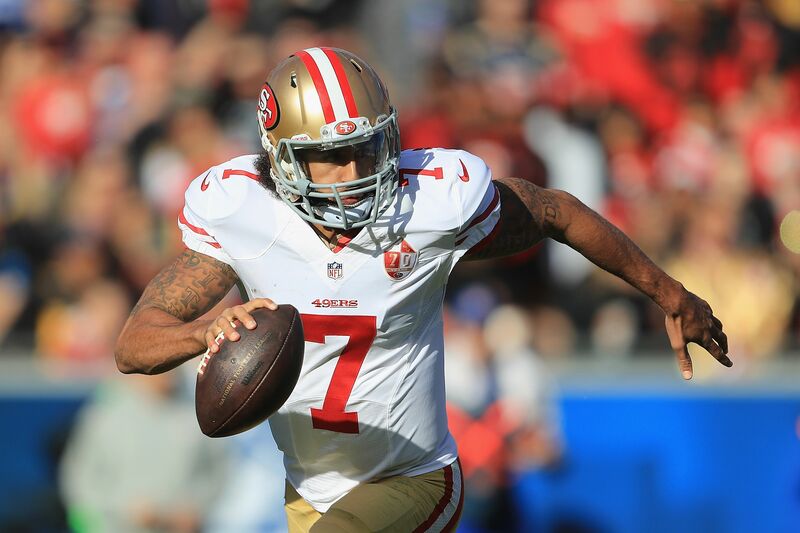 The Denver Broncos may look to add a quarterback, and naturally Colin Kaepernick has been offered as a possibility. The Denver Broncos put an end to their quarterback competition last week, naming Trevor Siemian their starter heading into the third preseason game. But anointed backup Paxton Lynch was injured against the Packers, and he may miss a few weeks with a sprained right shoulder. That leaves Denver in the market for quarterback depth, and of course Colin Kaepernick’s name has to come up whenever a team is in that situation. Broncos’ head coach Vance Joseph was asked about quarterbacks the team may consider signing, including Kaepernick specifically. The answer was open-ended, and did not shut the door on at least having a conversation with Kaepernick and/or his agent. The Broncos were interested in Kaepernick prior to last season, with general manager John Elway meeting with him twice. But Kaepernick would not take a pay cut to facilitate a deal at that point, and trade talks with the 49ers stalled out. Elway has also said he has no problem with players protesting, which of course matters in regard to Kaepernick even though he has said he will no longer kneel during the national anthem. The Broncos need another quarterback besides Kyle Sloter to play in their preseason finale. But if Lynch is only going to miss a couple regular season games, signing Kaepernick would not make a lot of sense. Siemian has earned the starting job, for better or worse, and willingly igniting a quarterback controversy seems like a bad idea. If Kaepernick is still on the roster Week 1, since he is a vested veteran, his salary for the season becomes guaranteed. That is also a hurdle for the Broncos, assuming they only have a short-term need, but it’s nice to hear a team not totally shut the door on signing Kaepernick.